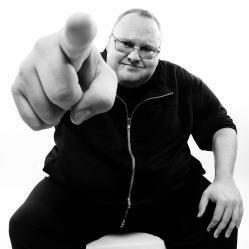 Megaupload conspiracy theory: Kim Dotcom's lawyers claim the MPAA and government colluded in controversial case. From illegal surveillance to military-style raids, the prosecution of Kim Dotcom, the flamboyant founder of the file-sharing site Megaupload, has been filled with high drama. And now the case has taken a yet another twist. The white paper claims that powerful Hollywood lobbyists influenced the U.S. government to go after Megaupload, amounting to what the lawyers term a “contract prosecution.” The intense effort to go after the website, which included illegal wiretapping of Dotcom’s communications by New Zealand’s top spy agency, is attributed to “some motivating factor outside the U.S. Department of Justice’s mandate”—with the finger pointed squarely at the Motion Picture Association of America. The U.S. government’s attack against Megaupload bears all the hallmarks of a contract prosecution: a case resting on erroneous theories of criminal law, littered with due process violations and prosecutorial abuses, carried out for the benefit of a select few in exchange for their political and financial support. In the name of eliminating copyright infringement, Hollywood has exerted a corrupting influence in Washington, leading us all down a slippery slope that not only threatens innovation and Internet freedom, but also has profound implications for constitutional principles of free speech, privacy and due process. Dotcom’s lawyers are calling for U.S. lawmakers conduct an investigation and hearings into the conduct of the Justice Department’s Megaupload prosecution, saying that the case “sets an alarming precedent for regulation of the Internet, freedom of expression, privacy rights, and the very rule of law.” Dotcom is currently fighting extradition to the United States in an ongoing New Zealand court case, and recently launched a new file-sharing service, Mega.co.nz.